MoviePush: Taking inspiration from The Matrix to market Inception? Taking inspiration from The Matrix to market Inception? 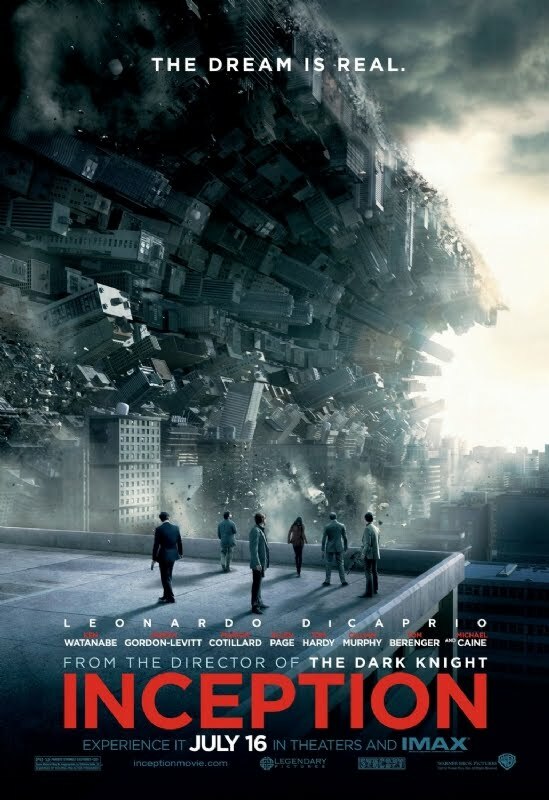 How do you market a movie like Inception? The only thing that we really know is that it’s a “heist” movie set around the invasion of dreams. However, the new film from Christopher Nolan and starring Leonardo Dicaprio seems to be the first big budget release for a while that’s generating great buzz and interest from movie-goers, even though they still don’t really know what it’s about. Warner Bros. know they’ve got a winner on their hands (early reviews claiming it’s Nolan’s best), yet with it’s incredibly complex plot Warner Bros. seem to be marketing the movie in a very similar way that they tackled The Matrix back in 1999. Both films focus on dream worlds and introduce quite unique ideas to their audience, something that can’t really be explained in a trailer. 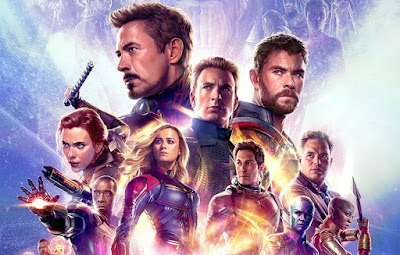 So instead of focusing on the story, both trailers focus on the spectacle of their films with intriguing special effects and a few key pieces of dialogue to keep the tension building. This is quite refreshing from the majority of trailers that basically end up being condensed 2 and a half minute version of the movie they’re advertising with plot points A to B to C all being revealed. A problem recently witnessed with Predators, the first third of which lost all the suspense as it’s reveal “It’s a game planet, and we’re the game” had been used in pretty much all of its marketing material. Both films use their unique money shots to sell them, The Matrix with it famous bullet-time scene and Inception with it’s folding buildings filling the sky line. Two images which will be completely new to the mass, in 1999 not many had seen a man dodging bullets with a camera panning 360 degrees and I doubt many have see buildings bending over the horizon until now. This image is such a selling tool that it not only features heavily in the trailer but it is now on web banners and bus stop posters. If anything though, “The Matrix” will actually help sell Inception. The idea of going in and out of dreams was very new to audiences and many didn’t quite get what was going on the first time they saw it. Now with the success of The Matrix, this concept has penetrated the mainstream and settled with movie-goers. So the idea of Leonardo Dicaprio entering people’s dreams isn’t quite as hard a pill to swallow as it was 10 years ago. One movie review is quoted as saying “it’s James Bond meets the Matrix”, if that doesn’t sell the movie to 16-35 year old males I don’t know what will. 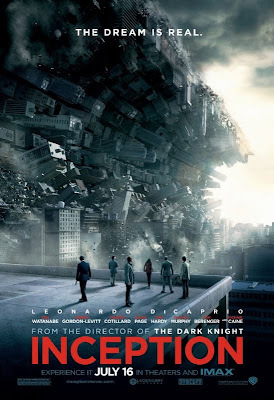 The studio also aimed to build awareness and anticipation early by selecting key promo partners, one used to focus on the complexity and vagueness of the plot include Verizon Wireless' "Inception: Mind Crime" game, which it hopes to help audiences by "unlocking some of the secrets of the story both before and after they see the film." 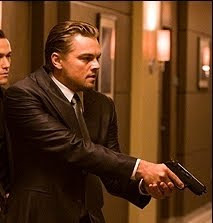 The final ace Warner’s has up its sleeve pushing Inception is Chris Nolan’s previous film (a little flick named “The Dark Knight”) which they are using heavily in all the marketing of Inception. You’ll be hard pressed to find any trailer, poster, internet banner or advertising that doesn’t feature a fairly clear “From the Director of The Dark Knight” tag line. That alone is going to guarantee some decent box office receipts on opening weekend if nothing else.